Tucano was officially born in 1985, but its origin started several years ago .Before TUCANO Milan, 1981: in a small space in the Vial / Cartos area , Franco Line and brother Gianni began making bags and cases of all sorts. The two emphasized the production of promotional items, especially sports bags, pencil cases, pocket books and so on. Adventure in Brazil 3 years later, Franco moved to Brazil in 1984 and started a tropical fruit export business. One evening while I was having time with my friends, he saw Akanke 's bird, and since then I have been fascinated by these colorful animals. Now the name and logo for his next business venture has appeared. "Tucano" is Tucana of Italy. TUCANO IS BORN. The following year I went back to Italy. Tucano was founded with his friend Nicola and Carlo. Initially, the company had 12 employees and started to produce custom items for the company. This is still an important part of the By Tucano brand. Workout III slim bag Icon mode of the whole collection. 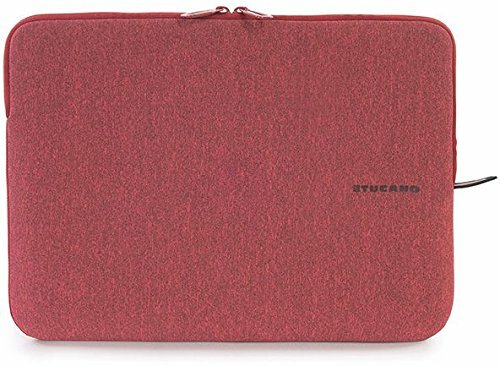 Slim Workout 3 Nylon Bag for Ultrabook 13 '' on MacBook Pro not only follows the original design stylishly, it also features an accessory pouch that can be used in an interior compartment and in three different ways. Designed carefully in detail and designed to expand capacity. Comes with removable strap and interior anti-shock system to protect your laptop. If you have any questions about this product by Tucano, contact us by completing and submitting the form below. If you are looking for a specif part number, please include it with your message.